The programme seeks to give Newcomers the best possible start to their new life in Aarhus and at Aarhus BSS. How? By giving them a Buddy (a current BSS-student), making social events (like BBQ and Quiz-Night) and throwing a couple of parties (e.g. Pub-crawl and Christmas Dinner) during the fall semester. The programme runs from May to November and varies each year in participants, but is normally around 170-250 students in total. A Buddy is a current student at Aarhus BSS. To become a Buddy, you will have to be a current student at Aarhus BSS and you will need to apply for the job. Buddies will be given a diploma at the end of the programme to display their international interests on their CV. A Newcomer is a new international full-degree student at Aarhus BSS. 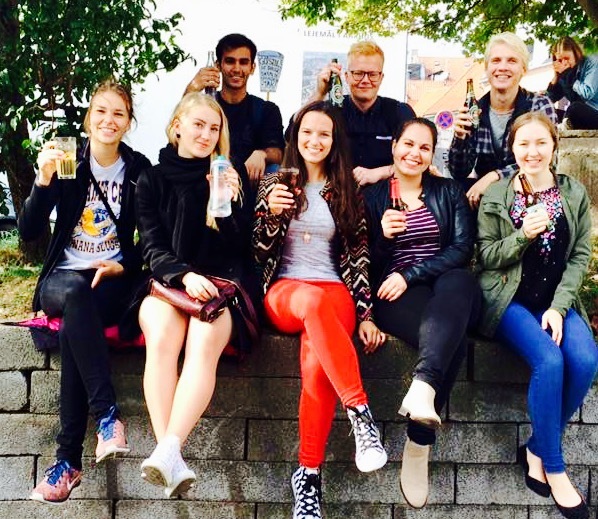 A Newcomer can come from all over the world and moving to a new country can be overwhelming, which is why Studenterlauget has created this fun and social programme. The programme divides the total number of participants into groups – or Buddy Teams. A Buddy Team consists of Buddies and their Newcomers. Each year there will be competitions, prizes and a lot of ‘hygge’ for each team, which makes the Buddy Teams one of the greatest things about the Buddy Programme. The programme changes from year to year. In the following pages you can see pictures from various events during the Buddy Programme 2017. Other than these event, each Buddy Team held individual events for their team alone. I have questions – where can I find the answers? The new Buddy Programme Project Managers of 2019 will be looking for Buddies in the spring semester. You can keep yourself updated by following Studenterlauget on Facebook, and there will be a job posting on www.studenterlauget.dk/jobs.